i’m ’bout to get all pretentious up in here. these little beauties are called pudding chomeur cakes, a traditional quebecois (as in those-who-are-from-quebec, canada) dessert. i found this recipe in a 2012 issue of my favorite home design magazine, house & home (a canadian publication). ever since i tore out this recipe over a year ago, i have been dying to try it. but i felt i needed to wait until winter – it’s just a comforting, wintery dessert. it has so much rich, warm flavor from the “pudding” that is made with pure maple syrup and heavy cream (if your mouth isn’t watering already, there is something seriously wrong with you). then there is this lovely cake that sits inside of all that maple goodness. when you break it open with your spoon, the maple pudding oozes through the cake, softening it. if possible, use pure maple syrup – not the fake aunt jemima-kind. trust me on this. the best way to serve is with a scoop of vanilla ice cream on top. 1. in a large bowl, combine butter & both sugars, and blend until smooth. add eggs & vanilla, and beat until completely incorporated. add flour & baking powder, and stir until dough is well mixed. refrigerate 1 hour. 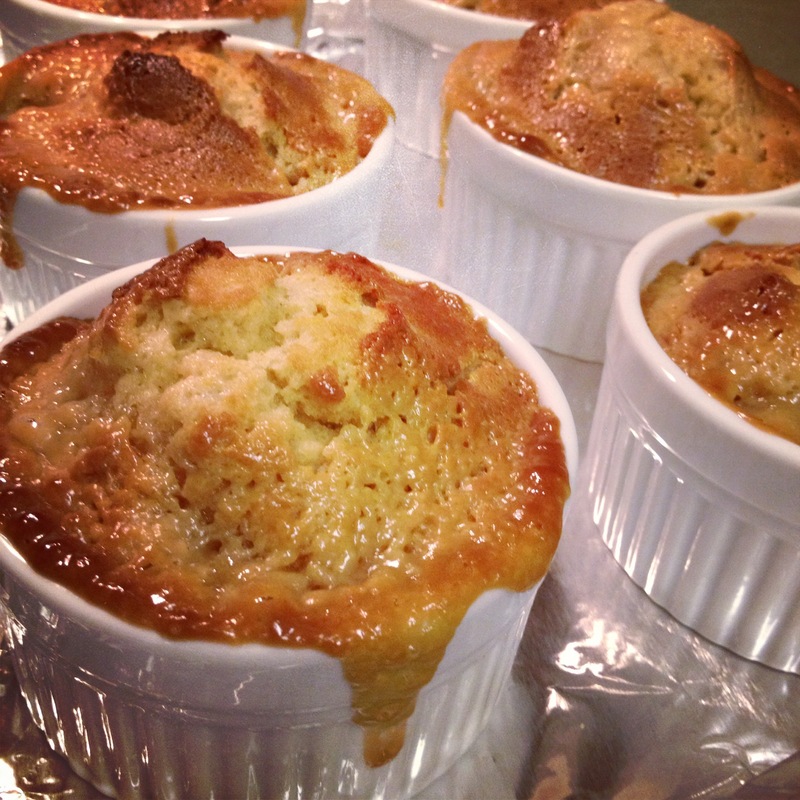 3. preheat oven to 450. place 6 oven-safe 5-ounce ramekins on a foil-lined baking sheet. spoon about 2 tbsp of the maple & cream mixture into the bottom of each ramekin. divide the dough evenly among the ramekins by loosely packed spoonfuls. spoon remaining maple mixture over the dough (it will sink into the holes) and bake for 20-25 minutes, or until just golden brown and a toothpick inserted into the center comes out clean (mine came out MOSTLY clean, and was perfect). let cool several minutes, then top each one with a scoop of ice cream. girl, thank you so much!! !